Hi Ryan, I've sold 158 stories to be made into books. Do you have a favorite one of mine? I'm excited because today I have a phone call about a new series! What do you think it should be about? 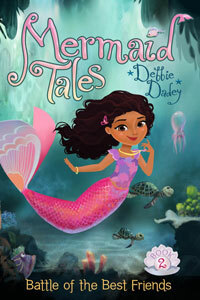 Cendile, Jasmin, and Ruby-I am happy to tell you that there are seven Mermaid Tales books out right now. The 8th one comes out in May. The illustrator is Tatevik Avakyan. I have never met her, but I love her illustrations! She was nice enough to agree to let me make T-shirts to go with The Lost Princess. 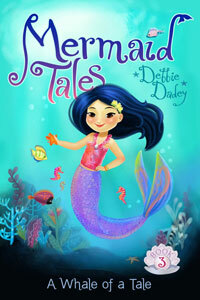 Hi Sammantha, ask your librarian or bookstore for the Mermaid Tales books. They can order them for you or your parents can order them online here. 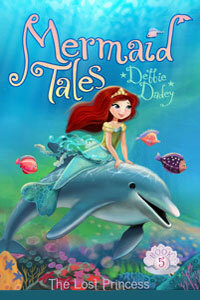 Glad you liked book three, A Whale of a Tale. Hi Leanne, you have a nice school. Eugene, I have two dogs: Skip and Shadow. You can see Shadow's picture on this page. Skip's picture is below. I'm sad to say my dog Bailey is in Dog Heaven.